What's a party without a Bluetooth speaker. What's a party without a Bluetooth speaker that doubles up as disco lights. That's JBL's Pulse 3, launched near the end of 2017. It's 50% party and 50% sound. It was first announced at the Consumer Electronics Show back in 2017 and came to India in October of last year. What sets apart the Pulse 3 is the fact that it gets waterproofing. It's a high-end Bluetooth speaker from the company and has an LED light show. This synchronises with the songs being played. At launch, the speakers cost Rs 15,999, but about eight-nine months later, it can be found as Rs 12,999. I've been using the JBL Pulse 3 for over a month and we have an answer as to whether it should be your next purchase or not. When the unit came in for review, there was a difficult question posed. Does one review this as a bedside lava lamp or a waterproof Bluetooth speaker or even a combination of both? That wasn't an easy question to answer. At the speaker's price point, aesthetics should play second fiddle to the audio performance. At a cheaper price point, one would instantly forgive some of the audio shortcomings. 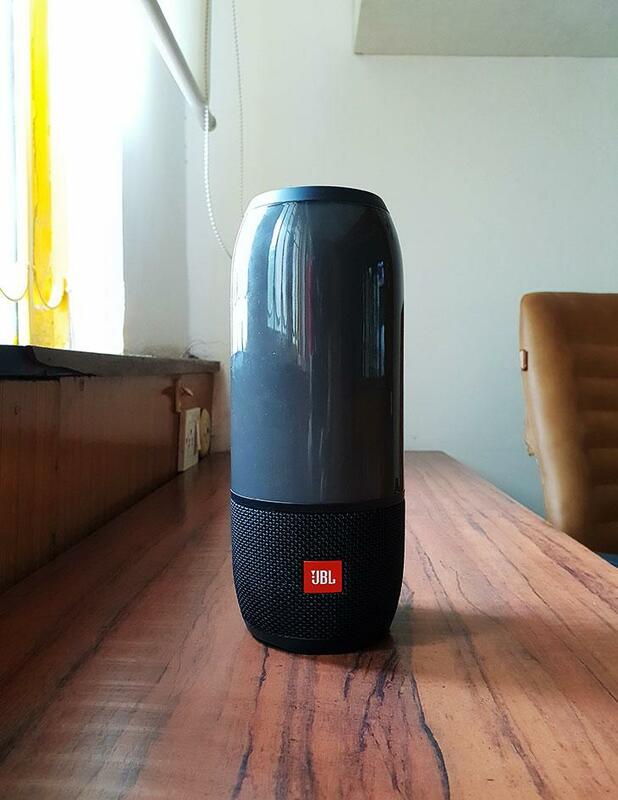 Nonetheless, the JBL Pulse 3 is an attractive looking and clearly designed Bluetooth speaker that radiates colour patterns in tune with the music. It's a shame that it lacks clarity. It does, however, double up as a speakerphone. Last but not least, the play button doubles up as a Voice Assistant button (after setting it up via the app). Let's first address the IPX7 waterproofing. IPX7 means that this Bluetooth speaker will still be fully functional after 30 minutes under about three feet of water. The trade-off here is that you get less than optimal materials (coating the drivers). This is a problem not just with the Pulse 3 but will all speakers with the IPX7 rating. The second thing one has to address is the design challenges. The designers have given a whopping 60% to the 360-degree light show. That means that less than ideal space for the drivers. Just 30% (plus the top and bottom radiators) is given to three speaker grills plus six touch controls. Despite it being similar in design to the Charge 3 (another product from JBL), it can only be listened to whilst upright. The controls are placed conveniently around the back. 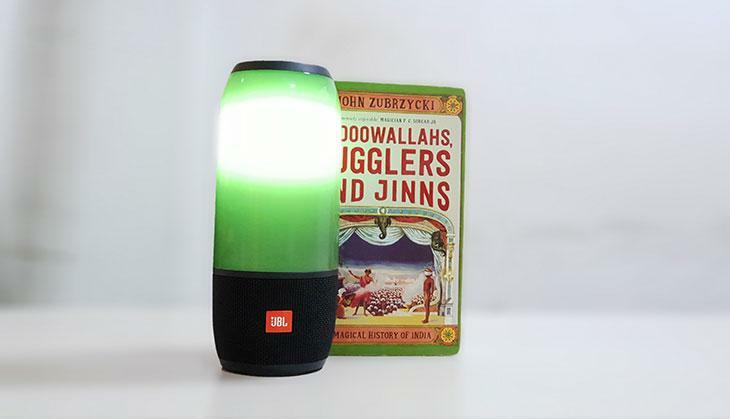 There are basic controls such as power, volume, Bluetooth pairing and play/pause, JBL Connect+ and the light toggle button. There is a flap that covers the 3.5mm audio jack and micro USB port (One wonders when Bluetooth speaker manufacturers will make the transition to Type-C ports). The 20-watt Pulse 3 is far from horrible. In fact, it's a commendable effort from JBL. It fits neatly in the middle of the pack. It won't wow you with its sound but neither is it trying to. The high end lacks clarity (something that you can tell without even buying it), the low end comes in below average. The bass is a little loose. Inside the speaker are three 1.5-inch transducers. There are passive radiators are on each end of the cylinder that provides mid-range and top-end. At about 50%-70% volume, on songs that aren't heavy metal, the clarity was good and the various instruments could be deciphered. What this speaker excels at is its volume (one loudspeaker this is) and the disco lights that will surely enthral a room full of people. By now if you haven't figured it out, the light show is the reason to buy this speaker and not the sound. Having a 360-degree audio makes this an excellent speaker for a party, or even by the poolside or on the beach. It's loud enough to give everyone a taste of what's playing. The bass may be blown out in a lot of the songs, but put on the right song - electronic/house or even rap - and you'll get a good sound out of the speaker. Vocal-led tracks sounded pretty good with enough clarity coming from the singers. The battery is rated at 12 hours by JBL and this is mostly true. I constantly got 11 hours in my testing at average volumes. Cranking up the volume will lose you a couple of hours in battery life. Using the mic for the speaker is good but you'll have to be close to the speaker and a little bit louder than usual. 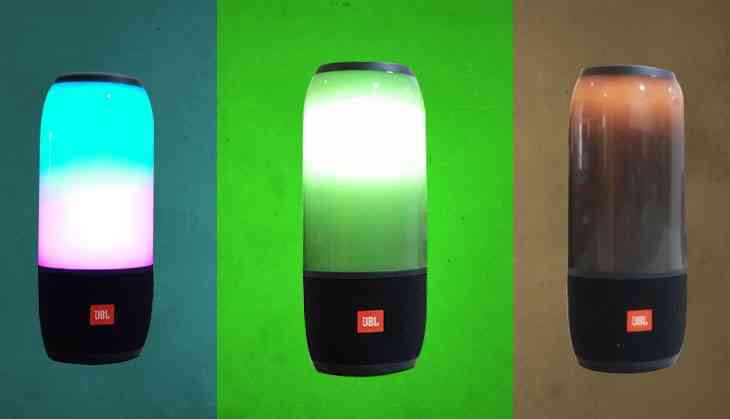 The JBL Pulse 3 offers an attractive light show in a fairly well-designed package. Adding waterproofing and speakerphone capabilities is a bonus for the consumers. Nonetheless, it's a pretty high price to pay for strictly average audio performance. Sitting alone and listening to music on the Pulse 3, and you'll notice how the sound is lacking. In a party, you won't bat an eyelid at it. You'll thoroughly be happy with the purchase. If you want better sounding speakers then look no further than the UE Megaboom. But you will los the party trick factor. The fun factor is there and the fun factor will not go away. Buy it with caution, but be prepared to be using this party trick pretty often.